In About Time, Tim (Domhnall Gleeson) learns that he's inherited the ability to travel back and forth in time — and uses the gift to pursue love and a life with Mary (Rachel McAdams). Time-travel movies usually have a clear end in sight, some situation that needs fixing. Marty McFly needs his parents to get together; John Connor needs to avoid Terminators long enough to grow up; the guys from Hot Tub Time Machine need to stop messing up the past and get back in their ... hot tub time machine. It's a big deal, sure, but it's not limitless. 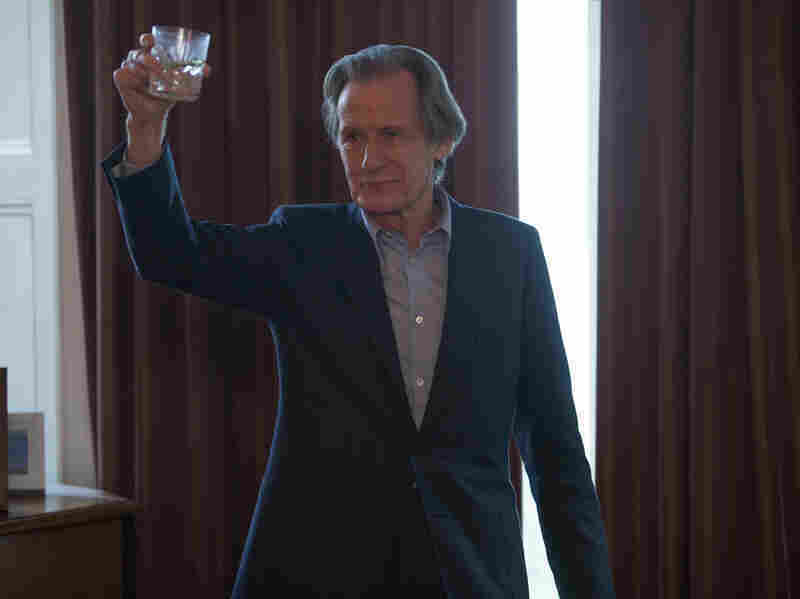 As his cheerful father (Bill Nighy) explains, Tim (Domnhall Gleeson) can Quantum Leap within his own lifetime, jumping to a moment in his past and then back to the now. Narrowing the scope and defining the stakes of the movie, Dad cautions him against using the ability for money or power — other relatives have, with inauspicious results — and instead to pursue what he truly cares about. For his dad, it's family and good books. For the bright-eyed Tim, it's love. Lanky, well-meaning, but not the smoothest with women, Tim uses his ability to go back and set right what once went socially awkward. There's a Groundhog Day-like slickness to sequences in which he tries to escape mortification with a do-over, only to muck things up a second time. With one intimidating summer crush (Margot Robbie) the chance to repeat a moment allows Tim to understand a lesson it might otherwise have taken him years to realize. Tim's father (Bill Nighy) also has the family's unique gift and advises his son to be careful with how he uses it. The slow growth of character and relationships is the film's focus more than any complicated plot, but there's complex machinery working in the background to make the time travel coherent — good thing, when multiple characters can up and play around with chronology. But the film takes few of the liberties you'd expect from its genre, and it conforms to an internal logic throughout. In fact, for all the science-fiction flourishes, life is rendered here with specifics that feel authentic. When Tim meets the bookish Mary (Rachel McAdams), their flirtatious banter feels real; a misspoken word becomes an inside joke, and a common appreciation for Kate Moss becomes a kind of trellis for something to take root and grow on. Tim's learning process is drawn as humanly as possible; the script mines his mistakes (there are plenty) and occasional selfish uses for comedy. In Love Actually, writer-director Richard Curtis balanced multiple tones — including overt sentimentality and more complicated emotionality. In About Time, he likewise finds a convincing mix. The moment-to-moment experience of Tim's time traveling life feels as grounded as, maybe more so, than many recent romantic comedies. Time passes, Tim matures, his relationship stabilizes, and the film turns its focus to the whole of life, to other facets of love, to how the highs and lows of aging affect his father, his stalwart mother (Lindsay Duncan), and his carefree sister (Lydia Wilson). Time travel may give Tim the unique ability to go back and try to help friends and family when they struggle, but Curtis also explores the limits of the gift, and the inevitability of life's end. The one question left unexplored is whether Tim might share his secret with Mary — an omission that conveniently simplifies their relationship. That aside, though, this is a film that blends genre pleasures with efficient, thematically resonant storytelling and moreover gives its audience a call to action. About Time is ... about time: It asks us to reflect on how we all use that resource, how the hours and minutes that make up a day or a life align with our intentions and values.